As well as offering RYA training courses Marconi Sailing Club also offers a range of informal and slightly more formal sail training. Always fun, never dull and provided entirely on a voluntary basis by members for other members. Over the course of the season on selected Saturdays we offer a day of sail training. This started as a means by which to teach our younger sailors, cadets, how to sail. However due to demand it has grown to include an active adults group. 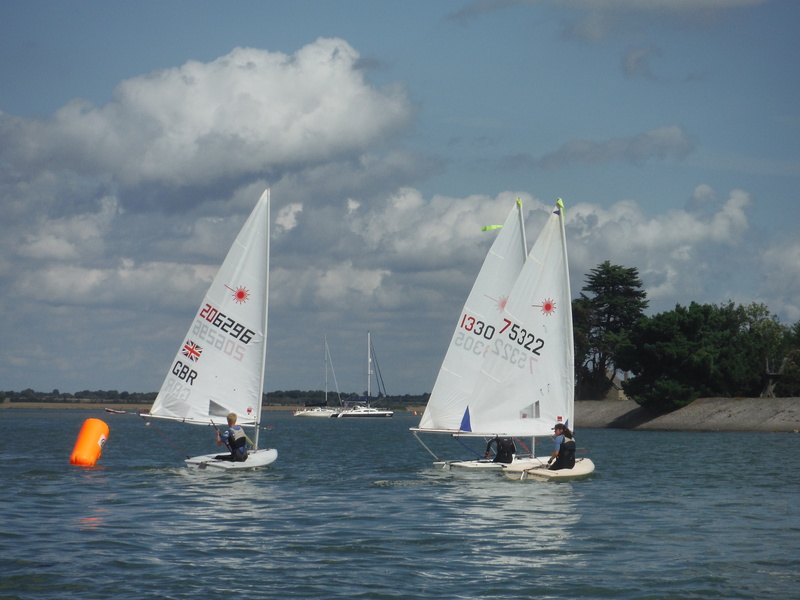 On some of the more appealing days for sailing (yes sailing is always weather dependent), we can have over 40 cadets and up to a dozen adults learning to sail or gaining confidence and improving their sailing. Our Sail Training is led and organised by John Nickalls (contact details in the year book) who is a qualified RYA (Royal Yachting Association) instructor and coach and also a very nice man. He is ably assisted by a huge group of volunteers many of whom are also RYA qualified but much more importantly experienced sailors with plenty of knowledge they are kind enough to share. You really can learn to sail this way. Without the need to spend extra money to gain certificates and learn loads of theory. Although if you wish to take an RYA course, separately from your sail training activities, we can offer you that opportunity as well, as MSC is also an RYA training centre. Training opportunities range from those suitable for the tiniest of school age children up to those that might be somewhat older than that. We have on occasions had grandparents in the adult group with grandchildren in the youngest group. So we really do try to give everyone the opportunity to learn to sail. Sail Training days are provided for Marconi SC members free of charge, its all part of the fun of belonging to the club. Simply turn up on the day and join in. There is a briefing in the marquee which starts at 10:00 and you will need to register (yes even the adults). If you are joining for the first time be advised it’s very, very busy and an early arrival will serve you well, those involved with organising the day will be at the club from 09:00. 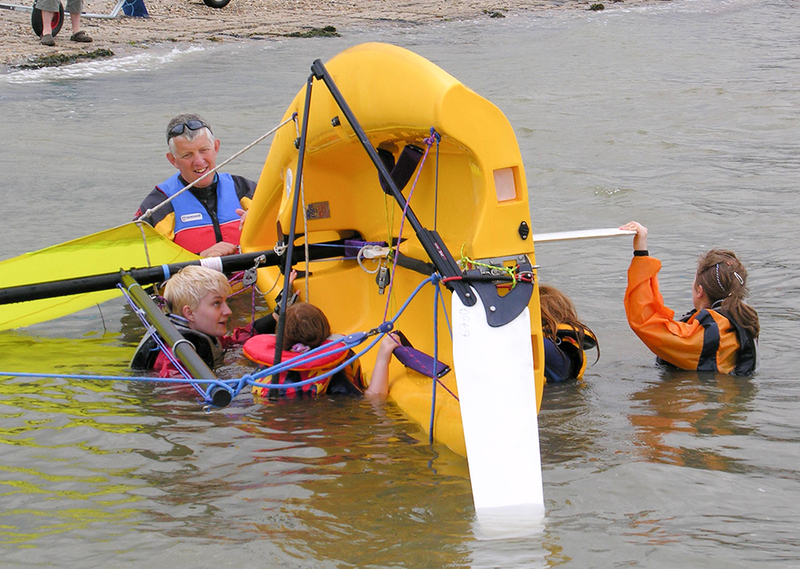 Come along and learn to sail in a relaxed and fun environment, without pressure and with lots of like-minded people. We generally get on the water morning and afternoon, finishing around 16:00. If you might like to help with Sail Training, thanks! We would be very pleased to hear from you, contact John Nickalls direct, or email info@marconi-sc.org.uk and we can put you in touch. During sail training days the galley is open all day providing its usual array of goodies. Dates for sail training can be found in the club hand book, they are typically once a month on a Saturday through the sailing season. 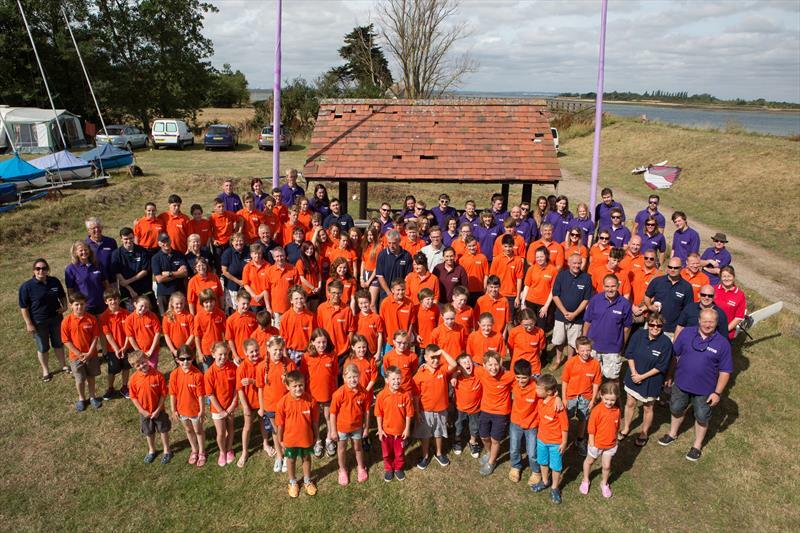 Cadet week is a magical time at Marconi Sailing Club with a massive number of boats coming and going as the various sailing groups leave and return to the hard. Close watch is kept from our fleet of safety craft all managed and coordinated by a very experienced shore team.